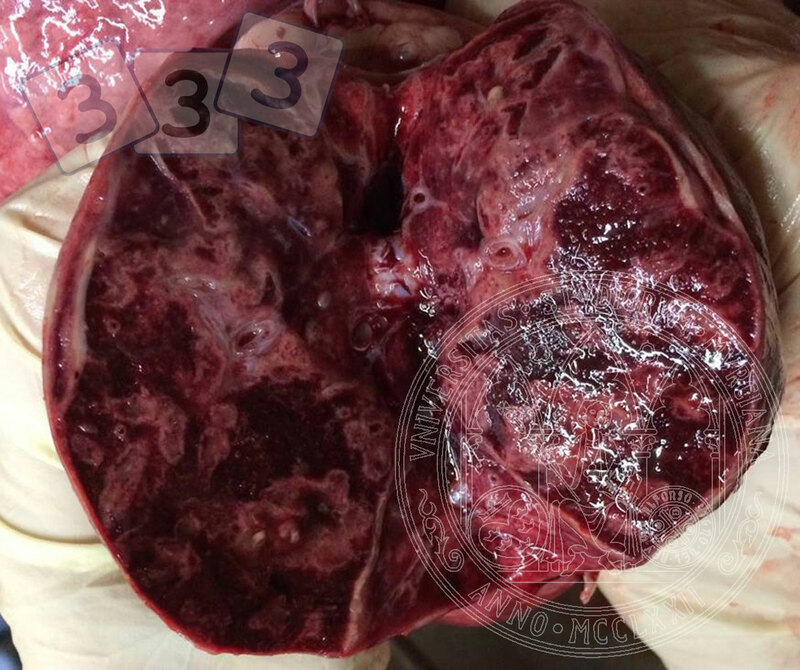 Cross-section of a pig lung that was found dead on the fattening quarters of a farm with respiratory problems. We can see dark red areas in which there are whitish stripes that confer a 'marbled' appearance to the organ. Microscopically, the lesion is characterised by the appearance of necrotic and haemorrhagic foci, alveolar and interstitial oedema, and fibrin deposits in the alveoli and pleural membrane. It is an acute swine pneumonia case caused by Actinobacillus pleuropneumoniae.